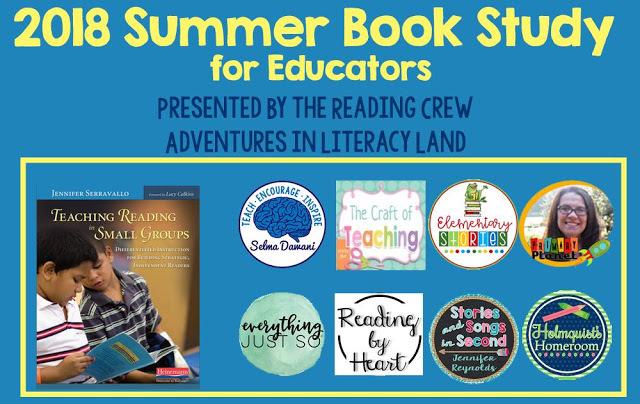 If you’re just joining the summer Book Study, we’re up to Chapter Five in our book, “Teaching Reading in Small Groups.” Jennifer Serravallo’s text shares strategies for differentiating instruction through the use of small groups. 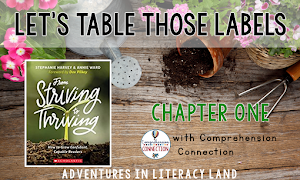 In Chapter Five, Jennifer shares how small group instruction can be used to improve students’ work during reading partnerships and clubs. 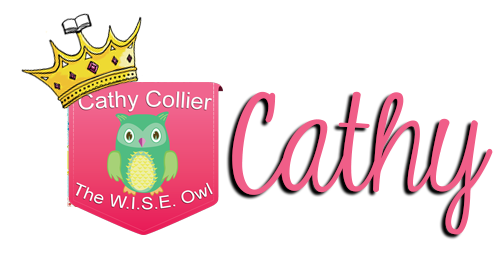 Hi, this is Cathy from Cathy Collier's The W.I.S.E. Owl and I have done a few posts about the Magic Tree House books. I LOVE the Magic Tree House. Today, I'd like to talk to you about the Magic Tree House Website. I love this website! It's fun. Let me walk you through a few fun places to visit on the website! On the Games tab, you can do on Missions. There are 5 books and a clue is read to the student. If you get it wrong, you get to try again. If you get it right, the Magic Tree House spins and takes you on an adventure. There are 4 questions to highlight 4 different that give you "rewards" to complete Morgan's mission. The questions are typed, but unfortunately, there is no "read aloud" button. When all four questions are answered and the clues are collected, you have a game to complete the mission. The two games I completed were completing a puzzle and decoding the answer with "decoder" questions. Very Cute. There is an option to take notes in their journal for future reference. Students are able to create and decorate their tree house. They keep their rewards in the in their tree house. They can also see other reader's tree houses. What a great section. Students can read a sample of a book. There are the first 2 chapters available for reading. What a great way to preview the book before heading to the library. They can also create a Wish List of books to read. There is also a Passport to be stamped after completing the quizzes on each book. This section was wonderful. Students can read answers to questions from other readers, watch videos of Mary Pope Osborne (! ), and send her an email. OMG. How many students would LOVE to hear Mary Pope Osborne talk to them! It's a fun section. About the Series and On Stage! These last to are informational and include information about the books, the author, the illustrator, and seeing the books on stage! Under the top bar...is a scroll bar with all her books. On the right side of the website...there are extras. This is an interactive map. Students can enlarge the map to see WHERE the books took place. These quizzes are based on the Non-fiction Fast Tracker books. They are ten questions. 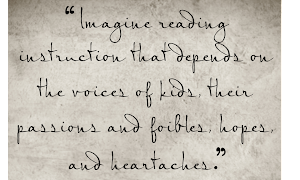 This is a great way to encourage reading. This is a section to sign up your team and keep track of your reading hours. This is a great way for teachers to sign up classroom buddies or start a reading buddy tracker in their classroom. The teacher section contains teacher guides and printable activities. The parent section contains information about the series and how to support reading. My only concern...or is it? My only concern with this website is the lack of a "Read to Me" button. Many of the areas on the website are read to them, but some are not. My kindergartners loved being on the site, but this would often require a parent to be with them...or maybe that's ok? I'd give this website a 5/5. Of course, this isn't technical. AND I'm sure I'm biased because I love these books. Hi everyone! 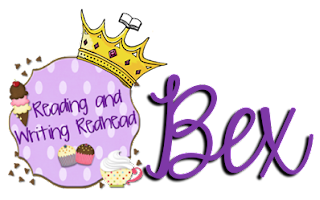 It is Bex here from Reading and Writing Redhead, coming to you to share about Booktalking and Booktalk Clubs! I recently did some professional development and went to a session on the topic and am inspired! So before we do anything else, you are probably wondering, "Hmmm, is that a typo? 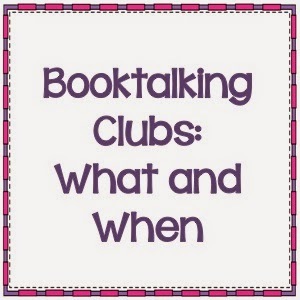 Does she mean Book Club, not Booktalk Club?" Nope! Booktalks are a bit different than book clubs. Here is the scoop. Booktalks are 2-3 minute presentations someone gives to persuade others to read a book they recommend. You know what I thought of? Reading Rainbow! Remember those kids would come on and give you a 1 minute spiel about a book they read and loved and then you would think, "Oh my gosh I need to read that"? Similar! Booktalk Clubs are after school clubs that students join voluntarily. At some schools Booktalk Club is held before school, during lunch or during a free period. 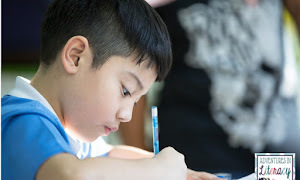 Students often get involved for one or more of the following reasons: They love reading, love writing, are social butterflies, or enjoy performing for others. Booktalk Clubs rely a lot of peer assistance - more so than lessons during your reading block - and kids that join end up reading more and recommending more books to others even outside of Booktalk Club. 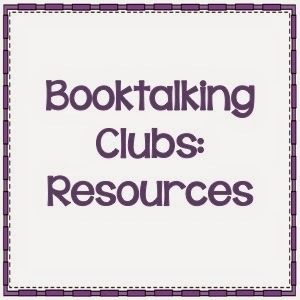 In my post I am not going to go into every step of how to run a Booktalk Club - that post would be extremely lengthy - but at the end I will post some links for places you can get more specific information. Let's talk about some basics though. Booktalk Clubs work best in 12 week cycles. Plan for 12 meetings, which may mean they go longer than 12 weeks because f vacations and holidays. How do you get students to join? Well, start with your own class and promote it to them, and get all the teachers at your school to do the same. Make up a flyer and encourage those students who already want to join to ask their friends to join. The Booktalk Club likely needs to be a coordinated effort across your school- your principal obviously needs to be on board to allow you to meet with students outside of class time, and the more your colleagues know about it and the more they discuss it with their classes, the better it will go! 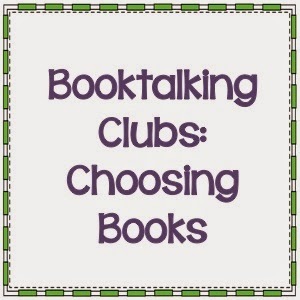 By the way, Booktalk Clubs can include students in different grade levels. It is up to you what range you pick. I will post some links with suggestions but I think 2nd grade-4th grade might be a good range, 3-5, 6-8 and so on. You don't want children to be so far apart in age that they no longer are really "peers". I think you also want the youngest students in your club to be able to read independently - not struggling. That's just my take! How do you decide what books get picked? The element of choice is so important here. Students are volunteering to do this one their own time and need to have a lot of input in what book they read. Grab a lot of books from your classroom library, the school library and town library and have them on display. Be sure to have a wide range of types and levels of books. As students sign up and give you their permission slips work with them to pick out a book (before the first meeting of the club). They need to have their book read or almost read for the first meeting. The first book choice is always the hardest. Try too encourage students to be realistic about book choice- for example a third grader choosing a 350 page Harry Potter book to complete if the first BookTalk Club meeting is in 5 days is probably not going to work! Sometimes students will realize their first book was too hard, too easy, too long, or too short and the next time around will adjust for it. A big part of Booktalk Club is the presentation. It is encouraged that all booktalks be videotaped. Some clubs have a night where everyone's family is invited and all the students do their booktalks live. Some clubs do both. Club members will make decisions together about what they want the culmination to look like. To get an idea of what Booktalks look like as a finished product, check out these videos. I found 2 younger students and one older student. They did a super job! This is a slightly different take on a booktalk - this older girl is recommending a book for younger children. 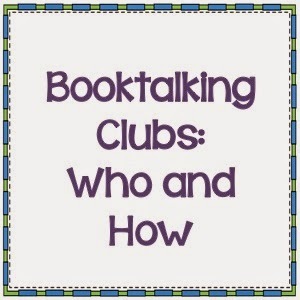 So have you ever done a Booktalk Club at your school? Might you try it? Let us know what you think and comment! And thanks to Erin of I'm Lovin' Lit (and Adventures in Literacy Land!) for the terrific frames used above and KG Fonts for, well, the font!